Today is my birthday, so I decided to showcase items that are in some way birthday-related! 1. 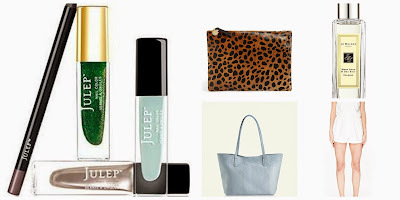 May's Free Julep Welcome Box: Use code MAYBABY and get these Julep products for free, complete with birthstone-inspired emerald shade. Just pay $2.99 shipping. Be aware this is a subscription box, like Birchbox mostly for nails, so your subscription will renew. But from what I hear, it's easy to call or email and cancel. 2.Claire V. Leopard Clutch: I'm obsessed with all things animal print! 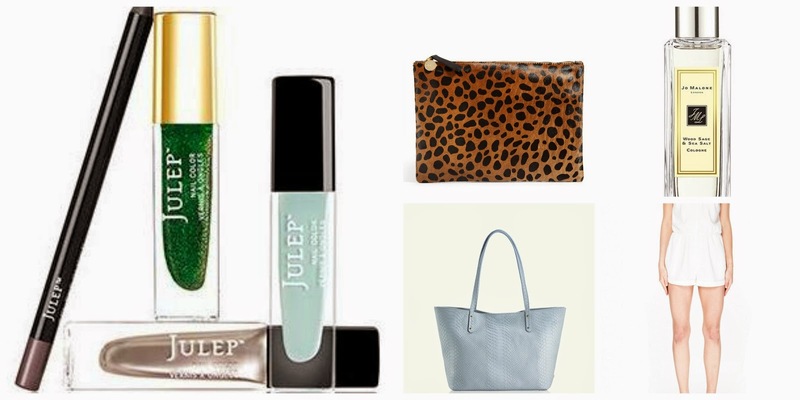 I've been eying this clutch for a long time, and then I found out it is available on Rent the Runway. I used my PRO membership birthday $50 rental credit toward this instead of a getting a dress this year. The four-day rental is $35, but I sprang for the eight-day, which is $56. That means it cost me a whopping $6 after applying my credit. It arrived a few days early and my return date is Memorial Day, and because it's a holiday, I don't have to return it until the following day. So it turned into more of a 12-day rental! Rent the Runway has been adding more and more accessories and casual clothing, which is great if you're looking to rent something fun but don't have a formal event to attend. If you haven't tried RTR, you are truly missing out! Read this post I wrote before you rent for the first time; I also explain why you MUST join PRO. 4. Jo Malone Wood Sage & Sea Salt Cologne: I received this as part of my birthday gift from my mother-in-law, and I love it! It's a little woodsy, very fresh and is the opposite of a flowery, perfumey scent. As she pointed out, it's hard to buy perfume for another person because everyone is so different about scents. But as it turns out, some of my very favorites I have gotten as gifts. Jo Malone is THE best! This is my first Jo Malone product and loving it!